Genius demystified, the Dummies way! In 1905, Albert Einstein revolutionized modern physics with his theory of relativity. He went on to become a twentieth-century icon-a man whose name and face are synonymous with "genius." 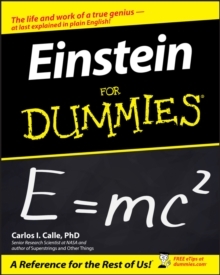 Now, at last, ordinary readers can explore Einstein's life and work in this new For Dummies guide. 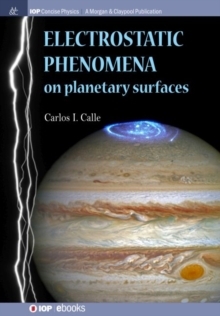 Physicist Carlos Calle chronicles Einstein's career and explains his work-including the theories of special and general relativity-in language that anyone can understand. 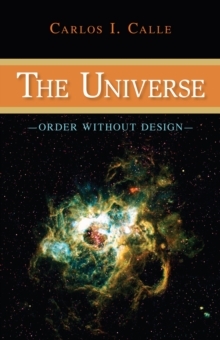 He shows how Einstein's discoveries affected everything from the development of the atom bomb to the theory of quantum mechanics. He sheds light on Einstein's personal life and beliefs, including his views on religion and politics. And he shows how Einstein's work continues to affect our world today, from nuclear power to space travel to artificial intelligence.